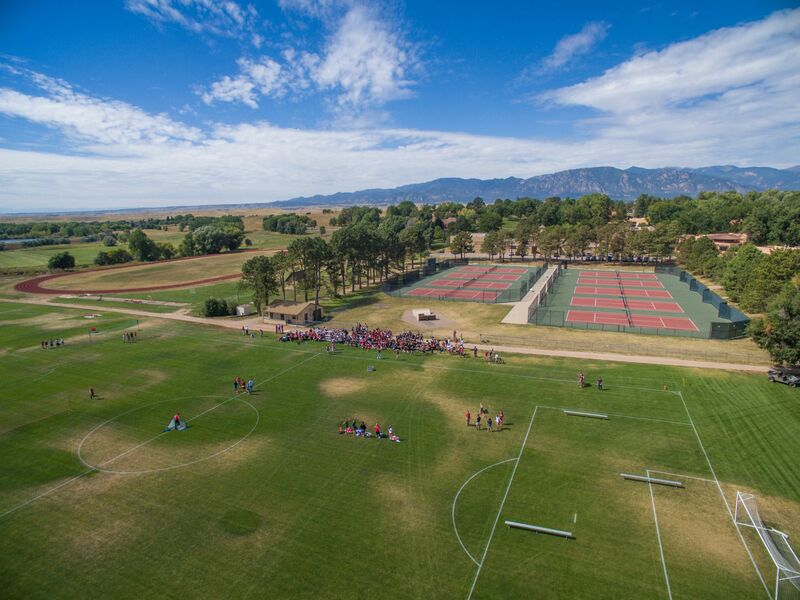 Fountain Valley School of Colorado athletics has something for everyone. There are several traditional team competitive sports spanning across the varsity and JV levels as well as competitive climbing, mountain biking and equestrian teams, and an outdoor education program. In its history, FVS has captured team and individual state titles. This year, the Danes celebrated some significant victories across our athletic program. In the fall, the boys soccer team made it to the 1st round of State playoffs. 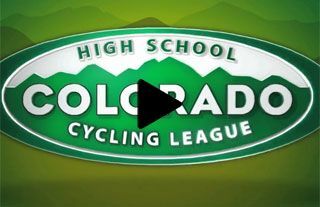 The mountain bike team took the most riders we have ever had compete at one time to the State Championship race in Eagle, Colorado, and our girls volleyball team made it to the District playoffs. The winter season was highlighted by our boys hockey team winning not one but two tournaments. Both boys and girls basketball teams made the district playoffs, girls swimming placing 23rd in the State Championship meet, the IEA team narrowly missed qualifying for Zone Finals by one point and a most-impressive dual State Champions Title for the Boys and Girls Climbing Teams. Our success continued into the spring where we sent two students to the girls tennis state championship and our boys lacrosse team had its best season in 15 years with a record of 8-4, narrowly missing qualifying for the state playoffs by .20 pts in the RPI polls. Georgia State University - M.S. During her high school years at Darlington School, Caroline Blaylock was involved in softball, basketball, golf, track and tennis. She earned 17 varsity letters and was recruited by 40 colleges to play basketball, but only four to play golf. After graduating, she attended Furman University, where she was a three-time winner of the National Golf Coaches Association Long Drive Championship and a three-time NCAA Division I All-American selection. She was named Southern Conference Female Athlete of the Year in 1994 and Southern Conference Player of the Year in 1995, in addition to being a two-time All-Southern Conference Selection (SoCon championship began in 1994). She placed third at the 1994 NCAA Championship and sixth in 1995. She also tied an NCAA record with a career-low 65 in the second round of the 1995 NCAA Championships. Blaylock posted a 76.1 career stroke average. She ended her career with 21 top-10 finishes and three tournament victories. Blaylock also represented the United States in the U.S.A. versus Japan Goodwill Matches in 1994. After graduating from Furman in 1995, Blaylock turned professional. In 1998, she led the LPGA Tour in driving distance with a 286.98-yard average. The next year, she posted a then-career-best finish with a tie for 10th at the LPGA Corning Classic and recorded a 66 in the second round of the Giant Eagle LPGA Classic, the lowest round of her LPGA career. In 2000, she again led the Tour in driving distance and tied for 10th at the Japan Airlines Big Apple Classic to tie her best finish from the previous year. Blaylock's career-best finish came at the ShopRite Classic in Atlantic City, N.J., where she finished fourth in 2001. Blaylock returned to Darlington in 2002 and served as head of Regester House and was assistant athletic director from 2005-2013. In 2013, she was hired as the employee wellness director at Floyd Medical Center in Rome, Ga. She and her husband, Eric, live on campus with their two sons, Jackson and Stiles. University of Montevallo - B.S. Kevin Ray joins FVS in 2017 as the assistant athletic director. He has coached soccer for 18 years, most recently as the director of soccer operations and head boys coach for the Darlington School Soccer Academy in Rome, Ga. He also served on the Athletic Committee at Darlington. Before Darlington, he was the assistant men's soccer coach at Auburn University-Montgomery. Previously, he coached at Huntingdon College, an NCAA Division III school, where he led the team to seven consecutive Great South Athletic Conference tournament appearances. He also served as an assistant coach for the Panama City Pirates of the Premier Development League, a senior staff coach for the Eclipse Soccer Club, assistant director of coaching for the New Territory Fusion Soccer Club, and assistant coach for Troy University's Division I women's program. Kevin was involved in the Alabama Youth Soccer Association for 11 years as a head coach for the Olympic Development Program and staff instructor. He is also an associate staff coach for NSCAA. He holds the NSCAA Master Coach Diploma, NSCAA Premier Diploma, USSF "B" license, USSF National Youth license, NSCCA National Goalkeeping Diploma, and the NSCAA Director of Coaching Diploma. A native of England, Kevin came to the United States to attend college at the University of Montevallo, where he was a four-year starter and captained the team to the Gulf South Conference tournament championship in 1999. Prior to coming to the U.S., he played professionally for Fulham Football Club and Queens Park Rangers Football Club from 1992-1997. He and his wife, Tinsley, have two daughters, Addie and Jensen, and they live on campus. University of Nebraska at Omaga - M.S. Brittany “Britta” Pestak is returning to FVS after a few years of adventures to take on the role as the athletic trainer. She comes to us from the United States Naval Academy where she was the athletic trainer for the men’s water polo and gymnastics teams. Britta recently completed her master's in athletic training from the University of Nebraska at Omaha. While working on her master's, she had the opportunity to complete clinical experience with Creighton University and The Lake Erie Crushers, a semi-professional baseball team. She is so excited to be back at Fountain Valley and is really looking forward to working with the students and the Athletic Department. She has a great passion for sports and is extremely enthusiastic she has the ability to combine the love of her career with her love for FVS. Britta is really looking forward to giving back and supporting the family of Fountain Valley for years to come! Britta is a native of Cleveland, Ohio, and loves everything about her city. She will regularly and proudly wear her Cavs, Indians and even Browns gear. She has a large family and is very close with her parents and siblings. They all still reside in Cleveland so any long school breaks you will most likely find her there or on some crazy family vacation. In her free time she enjoys taking advantage of the Colorado lifestyle with hiking and attending concerts. She also greatly enjoys playing volleyball, trying new restaurants and hanging out with her friends. Britta’s motto in life is: Faith, Family, Love and Friendship. Watch select FVS games and events LIVE and on-demand throughout the year, allowing family and friends to watch anywhere in the world. All games are on the FVS YouTube Channel. The broadcast schedule is updated here. WHO IS DUKE THE DANE? Fountain Valley School athletic teams became known as the Great Danes, and later simply the Danes, in the late 1930s. Founding Headmaster Francis Froelicher's dogs, both Great Danes and both named Duke, were the inspiration for the School's official mascot.